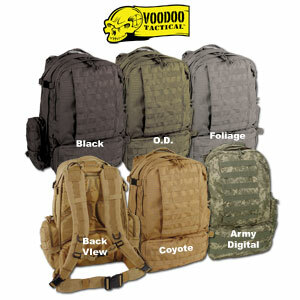 Carry all of your necessary gear into battle, on patrol, camping or biking with the high-quality VooDoo Tactical Tobago Cargo BackPack. *Expands to hold all your gear with attachment systems galore! 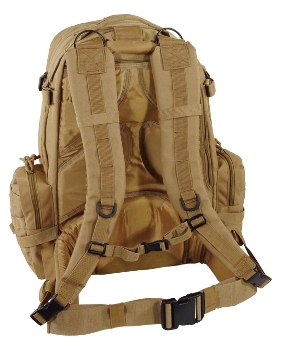 -For long-term ops, a third bladder can be attached (using our universal Hydration Carrier) giving you a full 9 liter capacity! *Measures 20" x 19" (at widest point) x 12"